PARK CITY here we come!! 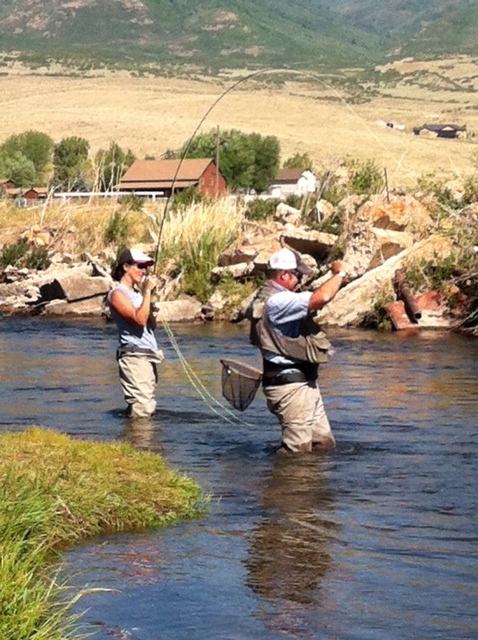 Emmett has always talked about wanting to try fly fishing, so when we were in Park City last June for a wedding, I surprised him with a half-day fly fishing outing arranged through Park City Anglers. My Guide Will above. What a great person. He help me land over ten fish wow not bad if I say so myself!!! 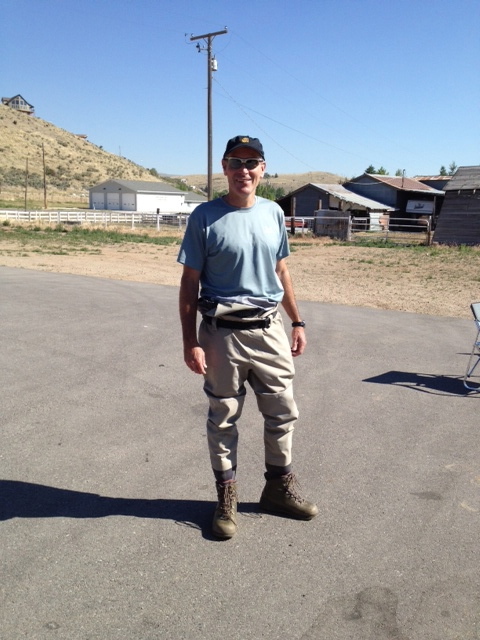 Will, is the owner of the outfit and he took us to the Weber River about 20 minutes outside of Park City (below). He did a great job of explaining the casting process, and also shared some of his knowledge about reading the water, changing the flies and working with the fish to reel them in. 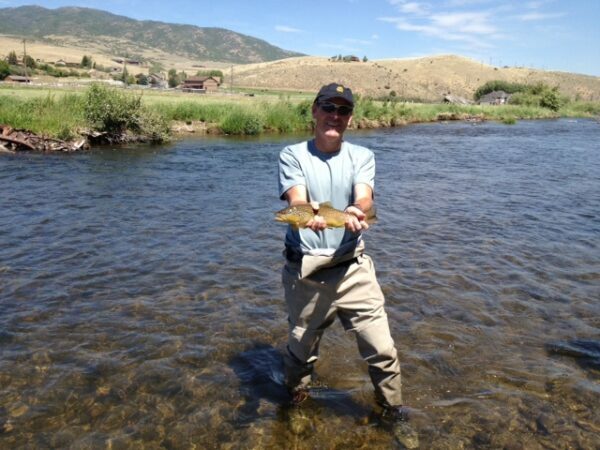 It was a beautiful morning, sunny and about 85 degrees when we set out, and we spent about 3 hours on the river, casting in 2 different spots. Dude, look at me above bringing in the bacon!!! 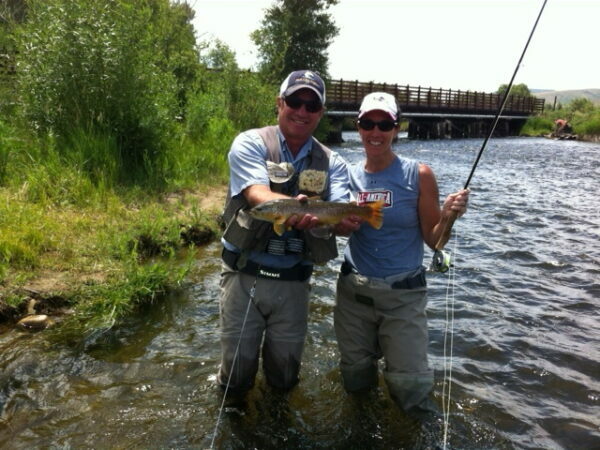 I reeled in an 8-inch brown trout with my first cast and proceeded to catch about 10 more, the largest one shown in the photo (above). Emmett, didn’t catch one on his first cast, but did manage to keep pace with me as the day went on. We both enjoyed the day and look forward to getting back out on another trip soon. 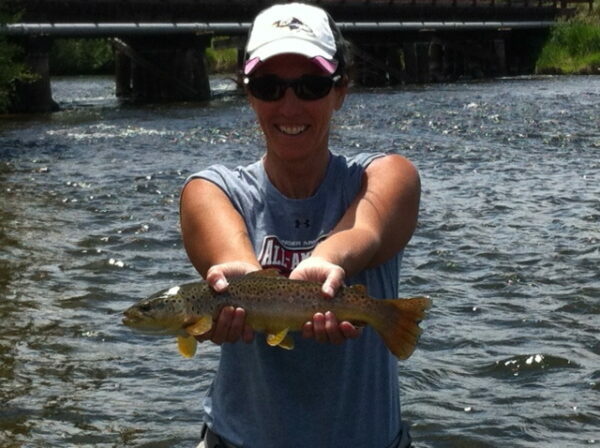 Another great day on the river, a few beers afterwards and then a great meal of fine dinning. Dreaming of the next adventure! !